Enjoy our national treasures that have long been loved by all generations at the newly renovated MOA Museum of Art! 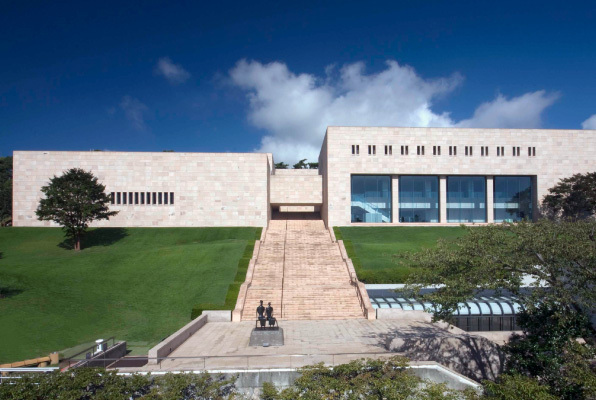 After 33years since its opening in 1982, MOA Museum of Art underwent a major renovation and has renewd a significant part of galleries and other facilities. The new designs in the lobby area and exhibition rooms are executed by New Material Research Laboratory-a contemporary artist Hiroshi Sugimoto and an architect Tomoyuki Sakakida. The result is an unprecedented amalgamation of traditional materials and contemporary architecture, of age-old techniques and modern technology, which offers visitors unique viewing experience and makes the visit unforgettable. 1. To be a platform for introducing Japanese culture to the world. 2. 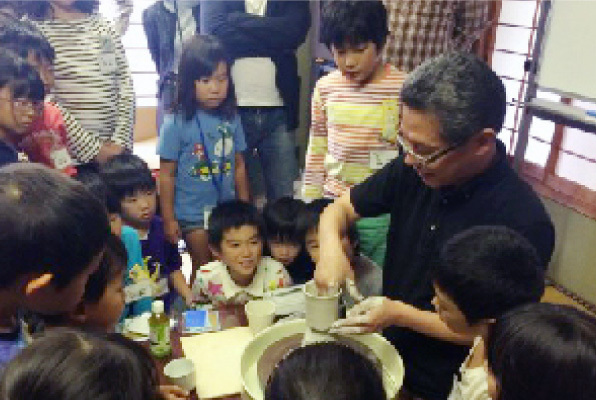 To contribute to the promotion of tourism, arts and kogei (artisanal craftwork). 3. To provide a venue for “new public utility” in collaboration with governmental and administrative bodies. 4. To create a synergy with local and neighboring municipalities, engage with local communities in efforts to create a city of international tourism and culture where people can develop sound and creative minds. 5. To reach out schools and nurture artistic sensibility and creativeness in school children through arts and beauty. 6. To strive to be a museum that offers great satisfaction and contentment to all visitors. 7. To promote a membership program and engage in fund raising for pursuing the causes stated above. Based on these basic concepts, MOA Museum of Art undertakes a diversity of activities, including aesthetically-charged activities to enrich artistic sensitivity that invite school children and teachers to become more involved in arts. 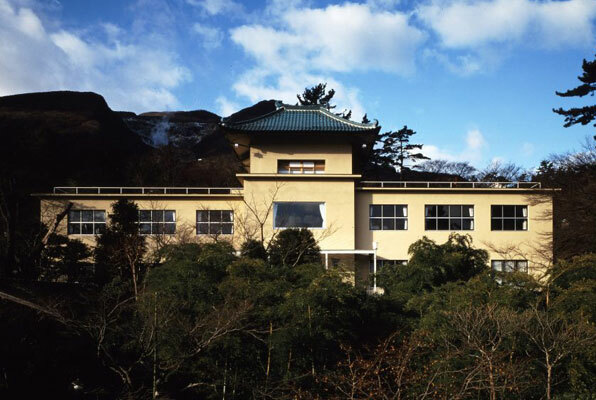 In support for further progress in Japanese paintings and traditional kogei arts (artisanal craftworks), the Museum organizes the Mokichi Okada Award, proactively encouraging young and training artists. We wish to welcome all visitors with our exhibition programs, beautiful gardens and tasteful refreshments, to be enjoyed together with the seasonal backdrop around the Museum. MOA Museum of Art is promoting a wide range of art ‘aesthetic education’ activities which not only include art exhibitions but also ‘the Children’s Art Exhibition’, ‘the Smile Children Choir’, ‘the school program’ and ‘Kohrinka Club (flower arrangement)’. 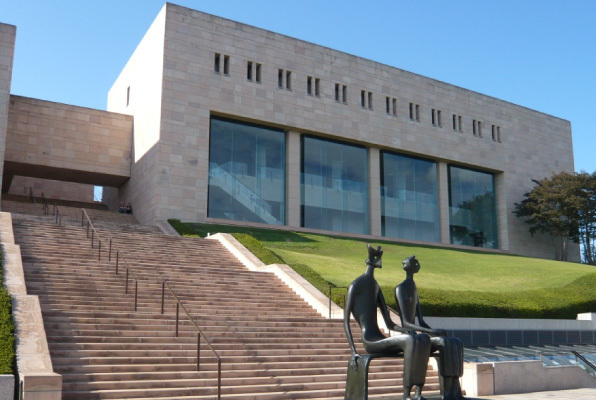 MOA Museum of Art provides visitors exhibitions of outstanding works of art centered on Japanese Art and introduces Japanese culture through promoting various cultural events including Noh performance and cha-no-yu tea ceremony. 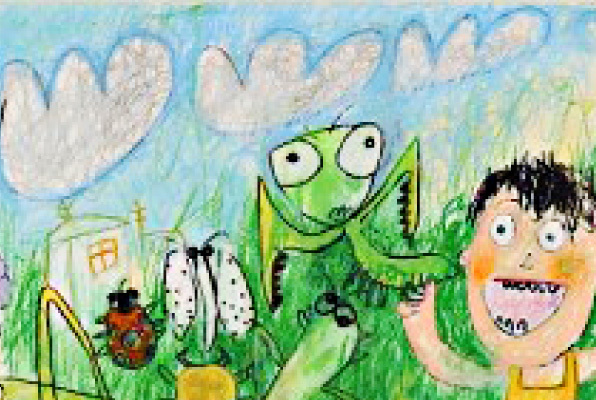 Encouraging children to develop and express their creativity, MOA Museum of Art has been holding the Children’s Art Exhibition in over 400 venues and receiving more than 450,000 entrees from inside and outside the country every year. 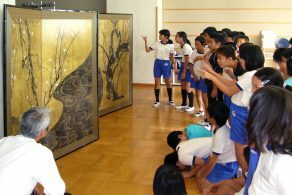 MOA Museum of Art offers art education programs in elementary and Junior high school art classroom to support the practice of the government curriculum guidelines. 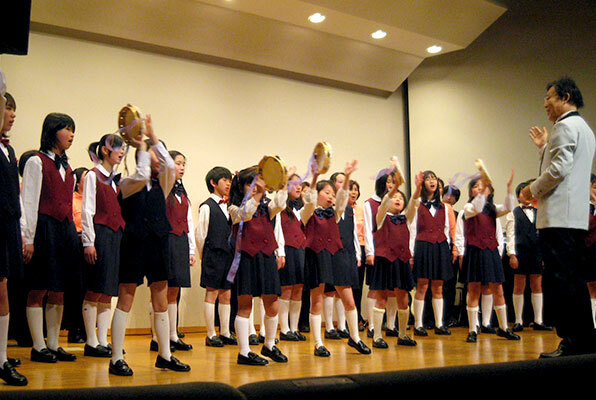 Having MOA Museum of Art as its home ground, MOA Children’s Choir has been exhibiting activities to foster a wide range of emotions and sensitivity in children through singing and enjoy traditional culture. 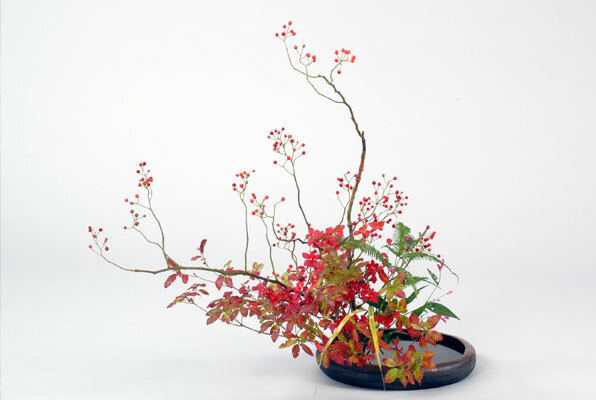 Based on the founder of the museum, Mokichi Okada’s desire, we are conducting “MOA Kohrinka Club” as ikebana class and “Flower Salon” to enjoy arranging flower in the simple container in our daily lives. Our activities and enterprises to promote Japanese traditional culture including the Children’s Art Exhibition are supported by the Members’ Club membership dues and your kind contribution. ntroduced here are the activities we have been doing including Tohoku Earthquake support activity and aesthetic education activity. 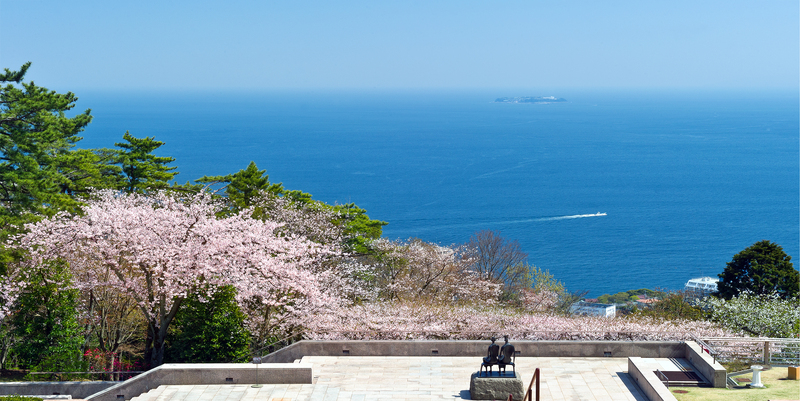 Hakone Museum of Art, located in Gora, was founded in 1952 as the first museum in Hakone and visitors can also enjoy its garden with the beautiful seasonal flowers.